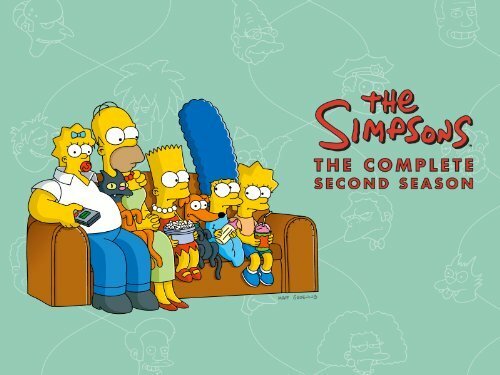 The second season of The Simpsons moves it into more golden-era territory, though there’s still plenty of experimenting, plenty of odd choices in character design, writing and animation that wouldn’t fit in the show later on. Yet looking back, those elements seem refreshing, fun and inventive. The show has obviously already exploded in popularity as well, with some of the biggest celebrity guests you can get making an appearance – Danny DeVito, Ringo Starr and Dustin Hoffman. Hoffman used a pseudonym, like Michael Jackson in the next season, but for a show only just finding its feet, those are pretty huge names. There are more episodes in this season, and things have been polished. The bus stop sequence in the opening has already been scrapped, and characters like Barney, Chief Wiggum, Smithers and Ralph have more firmly-established characters. Without any kind of fanfare, the show also introduces the likes of Groundskeeper Willie and Dr. Hibbert and has fun with the first of many ‘Treehouse of Horror’ episodes – James Earl Jones also lends his distinctive voice to the episode, and it’s interesting that as originally conceived, Kang and Kodos weren’t evil at all. One of the show’s funniest gags was the part with blowing dust off the cookbook. Bart is made a little more likeable in this season, having to grapple with his own shortcomings, apologising when his selfishness genuinely upsets others and even toiling away for some pocket money – even though he very quickly regrets that. Meanwhile, Lisa’s vulnerabilities are also explored, as well as her often absurd stubbornness, and Marge – as well as stealing many scenes with her funny little vocal reactions – provides some of the show’s biggest moments of defiance when she decides to deal with things in her surprisingly dramatic way. Her appearance in Itchy & Scratchy as a squirrel is also something very special. A whole lot of the season, though, revolves around the pattern of Homer getting the chance to hit it rich – whether as a successful dancing mascot, as the recipient of money for suing Mr. Burns or as the brother of a very rich man – and messing it up, or realising other things are more important. This pattern isn’t actually often very inventive, but sometimes it does lead to some real insight into the family dynamic and how ultimately, their bonds will prevail despite how often they screw up or act selfishly. It’s interesting that the idea of infidelity in the marriage, which informed a lot of the first season, is now mostly replaced by the fear of things simply falling apart without outside influence, through the characters’ innate flaws. There’s actually a lot of sentimentality in this season, but it never really oversteps the line into schmaltz. When Grandpa loses Bea, when Lisa has to say goodbye to Mr. Bergstrom, the story of Marge’s unlikely decision to date Homer and especially when Homer thinks he doesn’t have long to live all tug at the heartstrings, of course balanced with the bathos that The Simpsons does so well, and overall it makes the viewer far more invested in these characters. And, I suppose, keep them invested for many, many years yet.